Elmhurst College is enjoying the largest enrollment of new students in College history—again. At 1,225, the group includes all first-year students, incoming transfer students, new graduate students and new students enrolled in the Elmhurst Learning and Success Academy (ELSA). 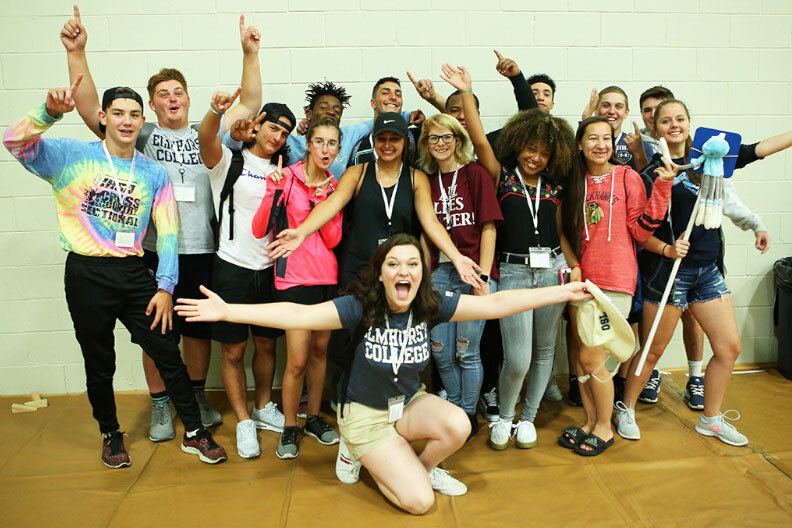 Within that record-setting group, the Class of 2022 is one of the largest groups of first-year students in the College’s history. At 530 students, the first-year class also is one of the College’s most diverse, in terms of demographics and geography. Eighteen percent come from outside Illinois, compared with 14 percent last year. They hail from 25 states, including Hawaii, Utah and Connecticut; and 43.6 percent are students of color. At the time, last year’s new enrollment of 1,217 first-year, transfer, graduate and ELSA students was a record for Elmhurst. The high enrollments coincide with a continued strong showing by the College in a number of recent national college rankings. U.S. News & World Report, Money, Forbes and the Princeton Review all ranked Elmhurst College among the best colleges and universities in Illinois and in the Midwest for academic excellence, value and postgraduation outcomes. Our enrollment success over the last couple of years, especially with traditional first-year students, is great to see because it means more and more prospective students are recognizing what we’ve known all along—that Elmhurst College offers an unmatched academic and student experience, and that it continues to be a great value too.